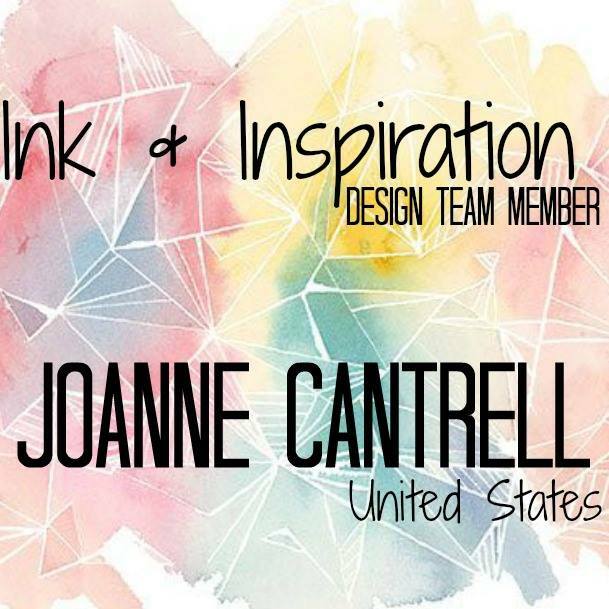 Welcome to the Ink & Inspiration Blog Hop. You are currently visiting Joanne Cantrell from a very tiny town in the middle of nowhere in the middle of the United States. I hope you enjoy the projects/cards I have to offer you today. Our theme this month is NEW CATALOG SNEAK PEEK! I just love a new catalog. And, this one is no exception. There are so many great new items.. and the new colors… Oh My!!!! As a church secretary, I instantly fell in love with the STAINED GLASS bundle. The possibilities are endless. Those Thinlits can be used to create so many different things. But, the sentiments in the set are just so stunning. They are bold and can stand alone… Don’t you think! The set reminds me on an old Medieval church with all of it’s pretty stain glass windows – which is probably the whole thought behind the set. But, those churches also have big, thick, heavy wood doors. So, I went with that look. I achieved it by inking up my Pinewood Planks embossing folder with Early Espresso and running it through my big shot. That step really makes the wood grain stand out a bit more. I added the bold sentiment and used Blends to color the rose. 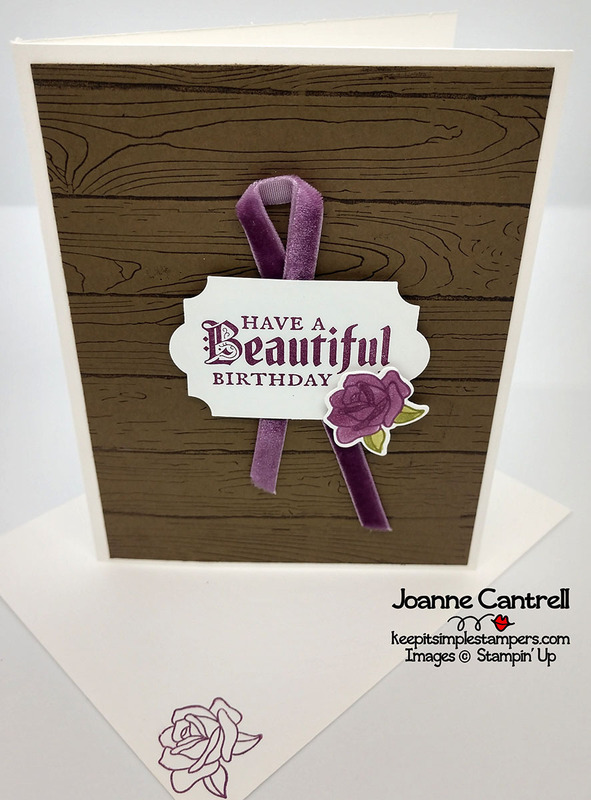 A little of the new Velvet Ribbon and you have a quick and easy card! 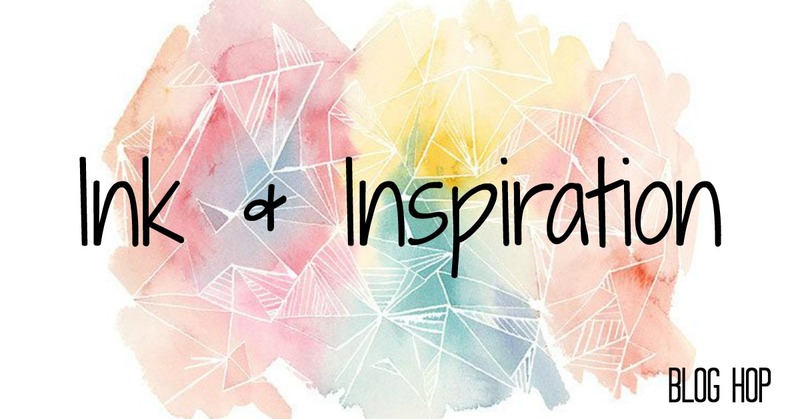 Next > Stamper’s Dozen Blog Hop – In With the New! 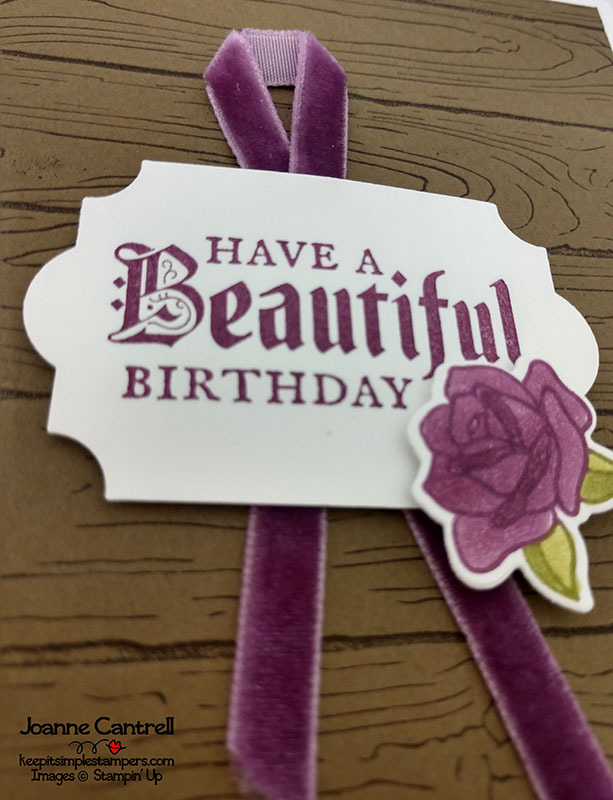 Love how you used the ribbon for a colour accent! LOVE what you’ve done with the embossing folder. You’ve nailed the heavy church door look! This is awesome! Lovely, Joanne! The ribbon is a perfect pairing with your rose.